A request for authorization to deliver an existing graduate degree program in an online or blended/hybrid format is initiated by the submission of an Online Delivery Request Form. 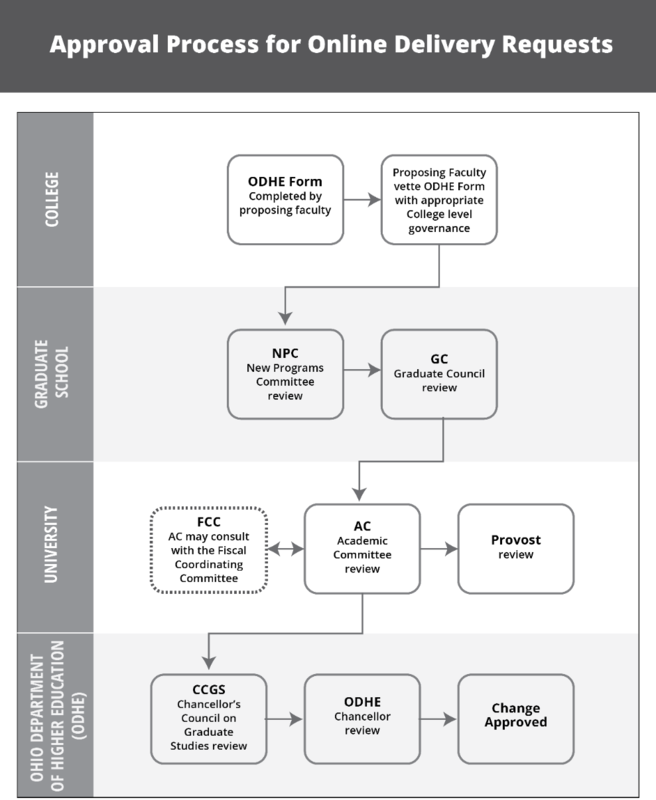 The steps for approval are described in the flow chart below. View the flowchart for the Approval Process for Online Delivery Requests as a PDF. The form will then be submitted to the Reigstrar's Office.